At first glance, it’s tough to champion a standout among the filmmakers nominated in this year’s Best Director category for the Golden Globe Awards. The Hollywood Foreign Press Association landed a uniquely venerable fivesome in its representation of 2014, embracing both the stylistic — Alejandro González Iñárritu and his careening showbiz comedy Birdman — the substantial — Richard Linklater and his reverberating tribute to flickering youth, Boyhood — and those seated snugly in the middle section of that Venn diagram — David Fincher’s magnetic pulp whodunit Gone Girl and Wes Anderson’s elegant pre-World War II caper The Grand Budapest Hotel. 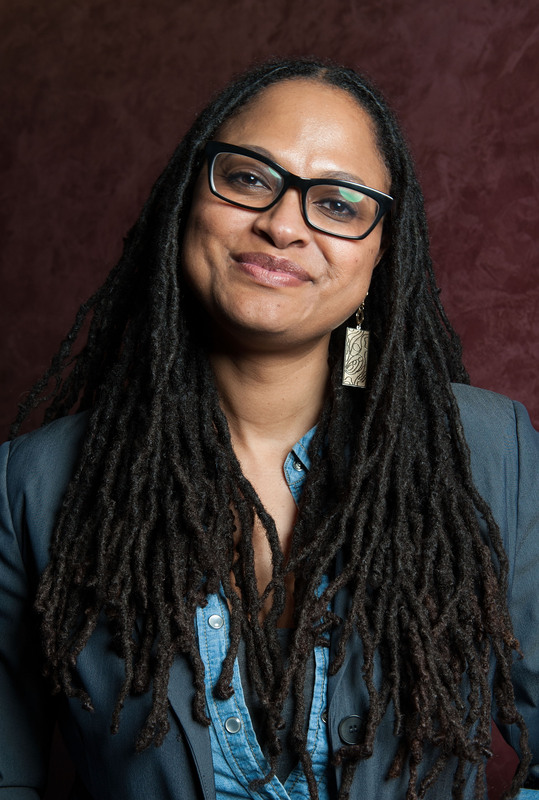 But standing out above the lot as the name most deserving of this year’s directing honor is Ava DuVernay, who delivered 2014’s most important story with a nigh impossible blend of calculation and emotional verse in Selma. From the beginning, the task that DuVernay had in front of her was nothing to sneeze at. The story of Martin Luther King Jr.’s 1965 civil rights march between the Alabama cities of Selma and Montgomery is among the most important in the history of American liberty; for whatever reasons, material of this grandeur so often falls to schmaltz or melodrama when depicted onscreen, as few filmmakers have proven capable of reproducing the weight borne by such tremendous subject matter. But from moment one, DuVernay’s Selma separates itself with a vibrant comprehension of the heart and meat of its tale, which makes its recent snub by the Producers Guild of America outright shocking. In the illustration of King himself, DuVernay eschews hagiography, opting instead for genuine intimacy; in her star David Oyelowo, we find an impassioned businessman analyzing every angle of the game of sociopolitical waves. King and her other characters, a collection of loquacious civil rights pioneers, machinate their cause’s every move as if they were Sorkin characters. In stark contrast to the cinematic variations of King and Malcolm X (played by Nigel Thatch in Selma) as right-place-right-time revolutionaries incurring change through the sheer force of noble intention, DuVernay gives us the far more inviting, doubtlessly truer to life “Moneyball version”: we see these good people doing good, hard, pragmatic work in their efforts to uproot the tyranny at large. Conversations shared by King and his support staff read like brainstorm sessions at a progressive think tank. Trifles between the civil rights legend and a stalwart President Lyndon Johnson (Tom Wilkinson, whose role in Selma has been a subject of controversy for many historians of late) feel like begrudging business partners butting heads over the stipulations of a contract. By relegating characters to such levels of human practicality, DuVernay in fact relinquishes the distance regularly felt between a big screen King and his audience. But this induction into the “mathematical” side of the civil rights movement does not rob Selma’s story of its gravity. DuVernay drapes inhabitants in a world ready and willing to upend. The very second scene in the film institutes an all too real policy of ever-looming horror: we feel, at all times, the threat of the very worst. And as we see these sour fates befalling both civil rights leaders and righteous civilians, able-bodied men and innocent children alike, we’re introduced in proper form to the nightmare that was the American landscape in 1965. On its own, the portrait thereof was, as stated above, no mean feat for DuVernay. But no movie exists in a vacuum, nor can any movie truly be honored in isolation of its context in the broader conversation. DuVernay’s picture released with a tragic timeliness so desperately familiar to anyone living in Ferguson, Missouri or Staten Island, New York, or any number of other American towns steeped in the injustices of a bigoted judicial system, though not yet granted due spotlight. Or, simply, to anyone tuned into the national news. In ushering a closer look at these atrocities — perhaps even a more profound empathy for those involved — Selma stands as the most culturally significant movie to hit theaters in 2014. And this isn’t simply by virtue of its subject matter. It’s thanks to director DuVernay’s acumen and affect in handling the story — to the creativity in her depiction of King, the intimacy she forges therewith, and the severity with which she paints his world. And what’s more, DuVernay’s artistry reaches beyond the parameters of Selma’s runtime to intercept our understanding of the present times. In a vacuum, Selma stands beside Boyhood, The Grand Budapest Hotel, or Gone Girl as a tremendous work of art. In the world, it strides ahead of the lot as an insuperable piece of the most important discussion to which our past year bore witness.